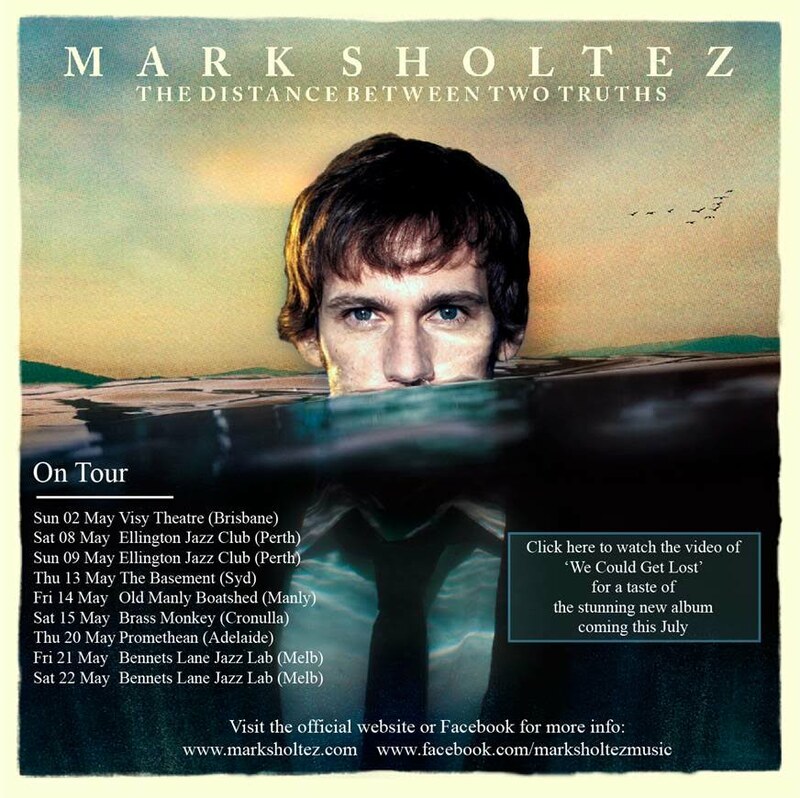 Just when you thought it was safe to go back into the water… If you squint at the image (left) and take off all the writing, what you’re looking at is essentially the cover image for Mark Sholtez’ forthcoming album ‘The Distance Between Two Truths’. The first single from it is ‘We Could Get Lost’, a sublime slow-burning ballad – the video of which premiered online earlier this week. 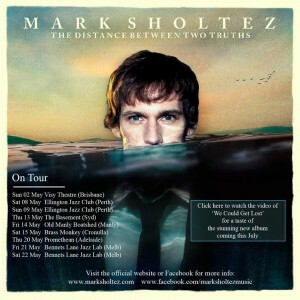 It features the singer making his way through the streets of Melbourne. And while this is not the kind of track you’ll find on commercial networks throughout the country, it’s most certainly one to put on over dinner or a glass of red wine before bed. So I have had a couple of wines and this song just gets better.